It is a time of legend. From the ashes of the Great Crusade, treachery is born. Unbeknown to The Emperor, The Warmaster Horus has been corrupted by the dark powers of the warp. Chaos has whispered in his ear and Horus has listened to its guile and wickedness. He has set his sights upon Holy Terra and will wage a war that would divide the galaxy forever. Sons shall turn upon their father and worlds drown in blood. The age of darkness is upon us and all of chaos has followed with it. Mighty heroes battle for the right to rule the galaxy and slaughter stalks the cold stars. And the galaxy will burn! In Talisman: The Horus Heresy, up to four players assume the roles of powerful Warlords. Each Warlord is very different and has his own strengths, weaknesses, and special powers. 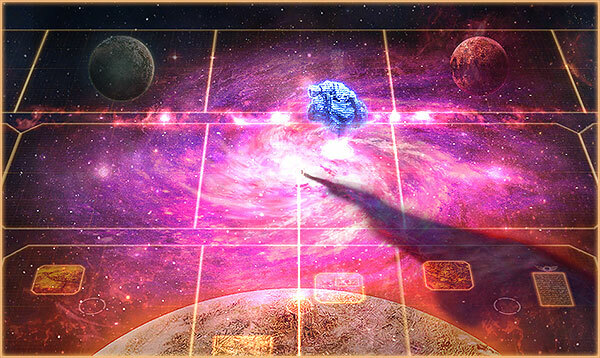 To win the game you must journey to the centre of the galaxy map to the Vengeful Spirit and deliver the decisive blows in the battle between Horus and The Emperor. Your travels will be hard and fraught with danger – and it is in overcoming these dangers that the challenge of the game lies. Only by gradually building up your Warlord’s powers, gathering valuable allies, and amassing a devastating Legion will you stand a chance of surviving the ultimate test that lies beyond The Emperor's Palace on Terra. The game supports the Steam Controller and has an official layout available in Big Picture mode. The object of the game is to reach the very centre of the board - the Vengeful Spirit - and then, Loyalist Warlords must defeat The Warmaster Horus and Traitor Warlords must defeat The Emperor. Warlords must first journey throughout the Outer and Middle Regions to build up their Close Combat, Ranged Combat, and Resolve, until they feel they are powerful enough to tackle the Inner Region. They must also first find a Talisman to permit them to board The Vengeful Spirit and join in the climactic battle. Warlords are the core of the experience of playing Talisman: The Horus Heresy. 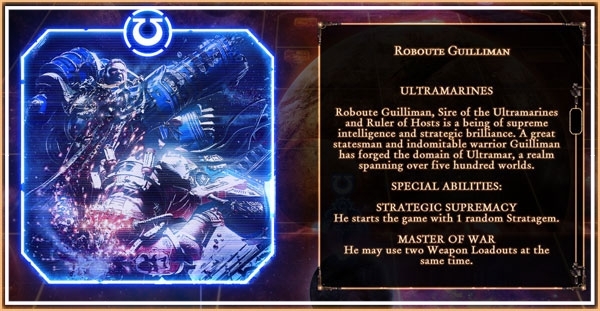 It is through a player's Warlord that he interacts with the galaxy map, travels to new Regions, attacks opposing Units, and gains his Legion Forces. Each Warlord has six statistics - Resolve, Fate, Resource, Close Combat, Ranged Combat and Strategy, as well as a number of special abilities. Close Combat represents a Warlord's might, stamina, and fighting ability. It is used in Melee and to overcome certain obstacles that may be encountered during the game. A Warlord starts the game with several Close Combat points, and this can be increased as Vehicles, Fleets and Equipment are added to your forces. Ranged Combat represents a Warlord's combat ability over a long distance. When a Firefight takes place, a Warlord's Ranged Combat statistic will be used to determine their power. Ranged Combat can be increased by defeating opponents in a Firefight or from various encounters. A Warlord starts the game with a number of Ranged Combat points, and this can be increased as Vehicles, Fleets and Equipment are added to your forces. 1. Rolling a die for his Warlord’s movement. 2. Rolling a die to determine his Warlord’s attack roll. 3. Rolling a die due to the instructions on a Dataslate or Sector. If a player pays a fate point to reroll a die, he must accept the new result; he may not pay another fate point to reroll the same die again. If a player rolls multiple dice (on the Isstvan III sector for example), he may only use one fate to reroll one of them. Each Warlord starts the game with a number of fate points. Nothing untoward happens to a Warlord who has used up all his fate, other than not being able to spend it until he gets more. A player may not pay fate points to reroll a die used to determine an enemy's attack roll. A Warlord can gain Fate points at various Sectors and via Dataslate encounters, but he may never have more than 10. A Warlord can spend Resources to buy Equipment and pay for services throughout the galaxy. Each Warlord starts the game with one Resource, and additional Resources are usually acquired as the result of encounters. If a Warlord is required to lose Resources and he does not have any, then there is no effect. Resolve represents a Warlord's durability. Resolve is lost through melee, firefights, and other dangers that are encountered. Each Warlord starts the game with a number of Resolve points and more can be gained at various Sectors such as the safe haven of Paramar, up to a maximum of 10. Any Warlord who loses all of his Resolve points is immediately killed. All the Warlord's Equipment, Weapon Loadouts, Fleets, Vehicles and Resources are left in the Sector where they were killed. All Close Combat and Ranged Combat points that have been gained since the start of the game are lost, and any Stratagems the Warlord was holding are discarded. A dead Warlord will return on his next turn with their statistics at their starting values. A Warlord's Strategy statistic represents how battle hardened he is and it is increased by being victorious in firefights or melee, up to a maximum value of 3. The number also determines how many Stratagems a Warlord can hold and use. Each Warlord has his own starting Strategy value, either 0, 1 or 2. The Strategy statistic is increased by victories in either Melee or Firefights. 3 victories are required to increase Strategy from 0 to 1. 5 victories are required to increase Strategy from 1 to 2. 7 victories are required to increase Strategy from 2 to 3. Progress towards the stat increase is indicated by the skull icons shown next to the Strategy score. A defeat will remove a lit skull, reducing progress by 1. Strategy cannot be reduced by defeats. Each Warlord has one or more special abilities, which can be seen when viewing the Warlord's information. Most of the Sectors on the map instruct players to draw one or more Dataslates. If there are any Dataslates already in a Sector a Warlord lands in, he only draws enough new Dataslates to take the total to the number indicated for the Sector. For example, if a Sector instruction reads “Draw 2 Dataslates,” but there is already one there, then only one new one will be drawn, bringing the total to two. Dataslates must be dealt with in a specific order, depending on their type. This chart shows the priority order for Dataslates. In the case of a tie, for instance when you reveal two Equipment Dataslates, they are encountered in the order they were revealed. So, using the chart above as an example, if a Warlord lands on a Sector and reveals two Dataslates - an Event and a Stranger - they will encounter the Event first and the Stranger second. One exception to the rule about resolving Dataslates in encounter priority order is that Dataslates with instructions that result in their being placed in a Sector (Strike and Fade, for example) are encountered first. The game automatically arranges Dataslates so that they will be encountered in the correct order. The different types of Dataslates and their effects are listed below. Keep in mind that Dataslates must be encountered in the order described above, so only after Events and Units are dealt with may the more beneficial Dataslates be encountered. The instructions on the Dataslate must be followed. Any instructions that result in the loss of a turn by the Warlord encountering the Dataslate ends the Warlord’s turn immediately. This counts as a missed turn for that Warlord if there are other Dataslates to be encountered; otherwise, he misses his next turn instead. Units can be either friendly (of the same allegiance as your Warlord) or hostile (of the opposing allegiance). Friendy Units you discover can be re-united with your Warlord (taken) or be left in the current Sector to aid in future combat there. Enemy Units with the Close Combat statistic will be fought and your a Warlord will engage with them in melee. Some friendly Units can join your forces and accompany you on your journey to the Vengeful Spirit, providing bonuses to Close Combat or Ranged Combat. These Units are indicated by a 'Re-Unite' value on their Dataslates. To re-unite with a Unit, you must roll 1 die and add your Strategy score and if the result is at least the target number shown, the Unit will join you. More powerful Units have higher target scores. If you do not wish to re-unite with a Unit, or fail the re-unite roll, the Unit will stay in the Sector and add a Close Combat or Ranged Combat bonus to any conflicts there. When Units of this type are killed, the victorious Warlord will gain experience points equal to the Close Combat value of the enemy Unit (see XP). Units that defeat Warlords remain in the Sector. Units with a Ranged Combat statistic follow the same rules as Close Combat Units as listed above, except that they use Ranged Combat when engaged. This is called a firefight. When Units of this type are killed, the victorious Warlord will gain experience points equal to the Ranged Combat value of the enemy Unit (see XP). Units that defeat Warlords remain in the Sector. If you encounter a Legion Combat Unit of your allegiance AND of the same Legion as your Warlord, you may attempt to Re-Unite with it. 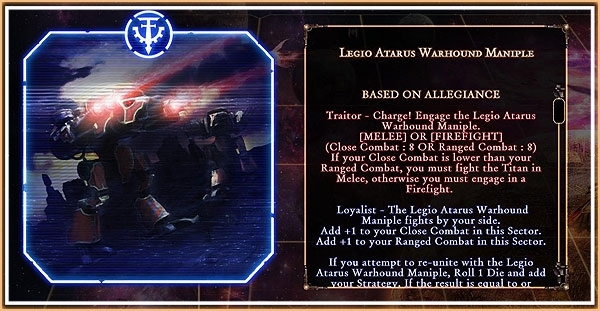 If you encounter a Legion Combat Unit of your allegiance which is NOT of the same Legion as your Warlord, you cannot Re-Unite with it, but it will be left on that Sector to add a +1 bonus to Close Combat to any engagements there in the future. If you encounter a Legion Combat Unit of the opposing allegiance, you will engage it in Melee, using its Close Combat score shown on the Dataslate. If you encounter a Legion Support Unit of your allegiance AND of the same Legion as your Warlord, you may attempt to Re-Unite with it. If you encounter a Legion Combat Unit of your allegiance which is NOT of the same Legion as your Warlord, you cannot Re-Unite with it, but it will be left on that Sector to add a +1 bonus to Ranged Combat to any engagements there in the future. If you encounter a Legion Combat Unit of the opposing allegiance, you will engage it in a Firefight, using its Ranged Combat score shown on the Dataslate. Legion Command Units behave in the same way as Combat and Support Units, except that they add a +2 bonus to Close Combat or Ranged Combat when they are left on a Sector, in future engagements there. 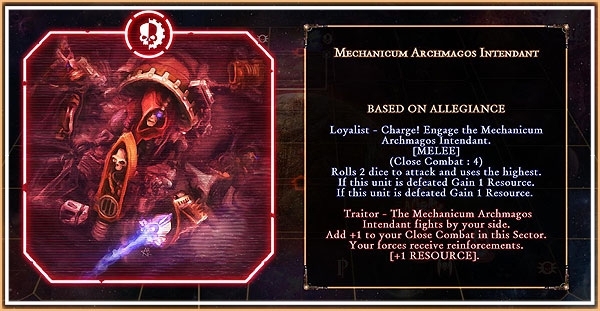 If you encounter a Mechanicum Unit of your allegiance, it will stay on the current Sector and provide 1 Resource to any Warlord of the same allegiance encountering it, plus a bonus to Close Combat or Ranged Combat in future engagements. If you encounter a Mechanicum Unit of the opposing allegiance, you must engage it in Melee or a Firefight and you will receive 1 Resource if it is defeated. 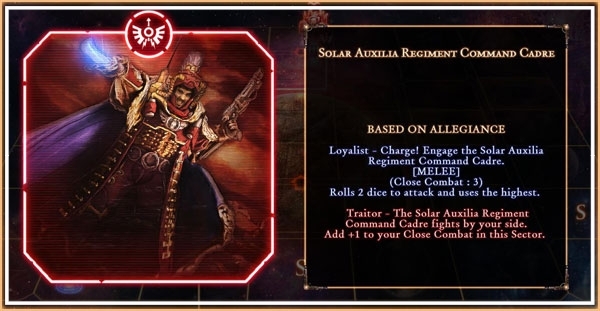 Solar Auxilia Units behave in the same way as Combat and Support Units, except that they will never Re-Unite with your Warlord and will always stay on the current Sector and provide a bonus to Close Combat or Ranged Combat in future engagements. These immense war machines are the most powerful Units to be encountered. Titans can be Re-United with, but only the most powerful Warlords with great battle experience can hope to have a Titan join his Legion. If they do not join a Warlord's Legion, they will stay on the Sector and provide a bonus to both Close Combat and Ranged Combat in future engagements there. The instructions on Stranger Dataslates must be followed. Strangers will stay in the Sector in which they were revealed unless otherwise stated. These may be taken if all enemy Units in the Sector have been killed or evaded (see Equipment and Fleets). The instructions on the Dataslate must be followed. Some Places require Warlords to roll a die to see what they encounter, while other Places reward Warlords each time they visit. On their game turns, Warlords move around the map, usually by the roll of the die but sometimes by the use of Stratagems or due to strange beings or places that they have discovered. Having moved, Warlords can then encounter another Warlord in the Sector they land on or follow the instructions on the Sector. The instructions are often to access Dataslates. These depict the Equipment, Units, and other things that the Warlord meets in the Sector. Gradually Warlords will become more powerful, until they feel that they are strong enough to head for the centre of the map and attempt to reach the Vengeful Spirit. 1. Movement – The player rolls a die and moves his Warlord that number of Sectors around the map. 2. Encounters – Once a Warlord has finished his move, he must encounter either the Sector or a Warlord in the Sector where he lands. At the end of a Warlord's turn, play passes to the next Warlord of the opposing allegiance. After each Warlord has had a turn, this is considered to be a complete round and the next round starts with the Warlord who was first in the previous round. The galaxy map is divided into three Regions (the Outer Region, the Middle Region, and the Inner Region). Each Region is sub-divided into Sectors. Warlords move around the Sectors in the Region they are in and can cross between Regions as a result of encounters or Dataslate instructions. To move in the Outer and Middle Regions, the player rolls one die to determine how many Sectors his Warlord must move. (Certain Stratagems, special abilities, and other events may enable a Warlord to move without rolling the die. These instances are detailed on the relevant Dataslates.) The Warlord then moves the full count of the die roll, either clockwise or counterclockwise at his discretion. Direction may not be reversed during a move except when passing between the Outer and Middle Regions (see Realm of Chaos). A Warlord must always move, even if he starts the turn in a Sector with a Dataslate or another Warlord. The Sector where a Warlord lands is the Sector where he ends his movement or the Sector to which he is moved to as the result of an encounter or effect. After a Warlord has finished his movement, he must either encounter the Sector he lands in or a Warlord in that Sector. Warlords can encounter a wide variety of enemies and personalities. Sometimes the encounters are friendly and aid the Warlord with gifts. Other times the encounters are hostile and attack the Warlord or cause him to miss turns. Warlords only have encounters during their own turn, unless specifically instructed otherwise. Warlords can only have encounters in the Sector where they land. They may never encounter anything in the Sector where they start their move. A Warlord must choose to encounter either one Warlord of his choice who is in the Sector where he lands, or the Sector itself. An encounter with a Warlord of the opposing allegiance always takes one of two forms. The Warlord whose turn it is may either attack (see Combat Between Two Warlords) or use his special ability on the other Warlord. If a Warlord kills (removes his last Resolve point) another Warlord during the encounter, he may take any Equipment, Fleets, and Resources from the killed Warlord to add to his own. Any Equipment, Fleets, and Resources not taken are left on the Sector. If a player chooses to encounter a Warlord instead of encountering a Sector, his Warlord may not visit any Stranger or Place there, nor may any Equipment, Fleets, Weapon Loadouts, Vehicles and Resources be taken from the space or any Units be Re-United with. An encounter with a Warlord of the same allegiance allows the sending of reinforcements between the two Warlords. The Warlord whose turn it is can select any of his Equipment, Weapon Loadouts, Vehicles, Fleets, Resources or Stratagems to send to his team-mate. The receiving Warlord must then review and accept the reinforcements being given to them. Warlords must always follow the instructions on the Sector where they land if their player chooses to encounter the Sector instead of encountering another Warlord. If a Sector instructs a player to access Dataslates, they will only reveal enough to make up the given number as indicated on the Sector's instruction. For example, if a Sector's instrucion is "Access 2 Dataslates" and there is already one Dataslate in that Sector when a Warlord arrives there, they will only access one new Dataslate, bringing the total to two. Dataslates are encountered in a specific order, depending on the type of Dataslate. Events are always encountered first, then Close Combat Units, then Ranged Combat Units, then Strangers, then Equipment, Vehicles and Fleets and then finally Places. In the case of a tie, two Places for example, the Warlord encounters Dataslates in the order they were accessed. After any hostile Units in the Sector are killed (see Resolving Combat vs. Units) or evaded (see Evading), any Stranger or Place there must be visited and any Resource, Equipment, Fleets, Vehicles and Weapon Loadouts may be taken. If a Warlord ditches Fleets, Equipment, Vehicles or Units onto a "Access Dataslates" Sector (see Ditching), he may only access enough Dataslates to make up the given number that may be accessed. For example, a Warlord ends his move on a "Access 1 Dataslate" Sector and then ditches one of his Weapon Loadouts. He does not access any Dataslates now since there is already a Dataslate on his Sector. A Warlord may ditch Dataslates on a Sector to avoid accessing more Dataslates, but he may not take them back during the same turn. Therefore, any Dataslates that are left on the Sector become available for other Warlords to take if they land on that Sector. Alexis Polux arrives at The Golgothan Wastes and is instructed to "Access 2 Dataslates". He reveals the Allure of Slaanesh (Event) and a Night Lords Thunderhawk Gunship Squadron (Unit - Ranged Combat). The Allure of Slaanesh is an Event so it must be tackled first. The instructions on the Allure of Slaanesh Dataslate state that all Warlords in this Region must miss 1 turn. Because of the missed turn, Alexis Polux's turn ends immediately and he does not encounter the enemy Unit Dataslate. The Night Lords Gunship stays within the Golgothan Wastes Sector as they were not encountered, and account for one of the two Dataslates that must be accessed there the next time a Warlord lands on that Sector. Combat is split into two types: Melee and Firefight. Melee occurs when a Warlord is attacked by an enemy Unit whose Close Combat is given, and a Firefight occurs when a Warlord is attacked by an enemy Unit whose Ranged Combat is given. If a player decides to attack another Warlord, they can choose to engage in Melee or a Firefight. 2. A Warlord decides to attack another Warlord and chooses to engage in Melee. The Warlord first chooses whether he is evading or not (see Evading). If not, then a melee takes place. The Warlord rolls one die, the result of which is considered the attack roll. The Warlord’s attack score is the attack roll plus the Warlord’s Close Combat, plus any other modifiers that may apply. Only one Weapon Loudout may be used at a time (see 'Weapon' and 'Armour' keywords). The enemy attack roll occurs automatically, and is then added to the enemy's Close Combat. The Warlord may then pay one Fate to re-roll his attack roll if he wishes. The total of the Enemy’s attack roll and Close Combat is the Enemy’s attack score. If the Warlord’s attack score is higher, the Unit is killed. If the Unit’s attack score is higher, the Warlord is defeated and loses one Resolve (use of Armour may prevent this). If the attack scores are equal the result is a stand-off. If the Warlord is defeated or the melee ends in a stand-off, the Warlord’s turn then immediately ends. In a stand-off, neither side is harmed (Warlords do not lose Resolve and enemies are not killed) and that turn immediately ends. On the Warlord’s next turn, he leaves that Sector without again encountering whatever he fought, unless indicated otherwise. If there is more than one opponent that attacks with Close Combat on a Sector, they fight as one during the melee, adding their Close Combat together with just one attack roll to make a single, combined attack score. The Warlord being attacked first has the opportunity to evade, if possible. If he chooses not to then melee takes place. Both Warlords then roll a die to determine their attack roll. Once both attack rolls have been made, the attacking Warlord must choose first whether to pay fate to reroll or continue and use the current roll. Once he has chosen, the defending Warlord has the same option. No matter what the defender chooses, though, an attacking player who decided not to spend fate when he had the opportunity may not change his mind after the defender has made his own choice. Once the option to spend fate has been addressed, the attacking Warlord’s attack score is determined as in melees against enemy Units. The defender’s attack score is determined the same way as the attacker’s score. The Warlord with the higher attack score wins the melee. If the scores are equal, the result is a stand-off (see "Stand-off"). The winner may either force the loser to lose one Resolve by selecting them in the list of rewards (which may be saved by Armour, if the loser has any), or may take one of the following Dataslate types from the loser to add to his own - Equipment, Vehicle, Weapon Loadout and Resource. If the winner kills the loser by forcing him to lose his last remaining Resolve point, the winner may take any Equipment, Vehicle, Weapon Loadout, Resource or Fleet from the loser to add to his own. Any not taken are left on the Sector. The turn then ends. 1. A Warlord is attacked by a Unit or enemy whose Ranged Combat is given. 2. A Warlord attacks another Warlord and chooses to engage in a Firefight. Firefights are resolved in exactly the same manner as melees (see Melee), except Ranged Combat is substituted for Close Combat. This section covers more detailed rules regarding Warlords, including how they gain wealth, Fleets, use Stratagems plus increasing Close Combat and Ranged Combat. During the game, Warlords usually acquire Equipment as the result of encounters with Dataslates or Sectors on the map. Equipment includes Vehicles, Weapon Loadouts, Armour and standard Equipment Dataslates. Some Equipment can be purchased from these Forge World Sectors - Tigrus, Lucius and Mars. Equipment contributes to a Warlord's carrying limit. No Warlord may have more than four Equipment Dataslates unless he has one of the following Fleets - Mass Conveyor, Legion Transport or a Merchantman Transport. Any Warlord acquiring more than four Equipment Dataslates must decide which to keep. The remainder are immediately left on the Warlord's Sector. Angron has an Assault Ram (Vehicle), a Terminator Armour - Tartaros Pattern (Armour), a Melta Bomb and a Tactical Weapon Loadout (Weapon Loadout). He travels to Forge World Lucius and decides to purchase a Predator Tank (Vehicle) for 4 Resource. The purchase completes, but this leaves Angron with five items of Equipment so he must choose one to leave on the Sector he is on. Weapon Loadouts grant bonuses to Close Combat or Ranged Combat but must be used in a fight to gain those bonuses. Weapon Loadouts are indicated by the text + Equipment - Weapon Loadout + on their Dataslates, and you may only use one during an attack. If you have more than one, you will be prompted to choose the Weapon Loadout to use for the attack. Some Equipment can prevent the loss of Resolve when a Warlord is defeated and these are indicated by the text + Equipment - Armour + on their Dataslates. A Warlord may only use one Armour during an attack. During the game, Warlords usually acquire Fleets as the result of encounters. A Warlord may have any number of Fleets. In Talisman: The Horus Heresy, any Warlord can use Stratagems as long as he has enough Strategy points. A Warlord might start with a Stratagem, as described in their special abilities. Stratagems can be gained as the result of encounters or at certain locations. All Warlords may acquire and use Stratagems, if their Strategy is sufficient to permit this. Only those Warlords whose special abilities allow them to start the game with Stratagems do so. Otherwise, Stratagems are usually acquired as the result of encounters. Usually when a Stratagem is gained, it is chosen randomly from the Stratagem Dataslates in use by the game. The effect of each Stratagem is detailed on its Dataslate. Stratagems can only be used at the very begining of a Warlord's turn, before they roll the die to move or make other movement choices such as crossing the Warp or teleporting. A Stratagem will glow when it can be used. The number of Stratagems that any Warlord can have at one time is limited by the Warlord's Strategy. For example, if a Warlord has a Strategy score of two, he may have a maximum of two Stratagems. Stratagems can only be used at the start of your turn, before you roll the die to move or make other movement choices. Using Stratagems is always optional. Players may keep Stratagems for as many turns as they like before they choose to use them. A Stratagem can only be used as stated on the Dataslate. Once its effect has ended, it is discarded. The maximum number of Stratagems a Warlord may use during his turn is equal to the number of Stratagems he had at the start of that turn. When a Warlord defeats anything other than another Warlord or an opponent on the Vengeful Spirit, he gains experience points and can gain additional Close Combat or Ranged Combat points. When a Warlord is victorious in melee against any opponent other than another Warlord or either Horus or The Emperor, he gains Close Combat XP equal to the Close Combat value of the defeated opponent. So, for example, if Roboute Guilliman beats a Solar Auxilia Infantry Regiment (Close Combat 2), he will gain 2 Close Combat XP. When the total number of Close Combat XP is seven or more, a Close Combat point is gained by the Warlord. All XP is kept, so if a Warlord has five Close Combat XP and he defeats an opponent with a Close Combat of 4, he will gain one Close Combat point as he goes through the seven point threshold and keep the remaining two XP to progress towards the next point gain. Therefore, he would only need to defeat a Close Combat 5 enemy to gain another point. Close Combat can also be increased as a result of encounters. Ranged Combat points are also gained in the same way as Close Combat points, with experience being gained for defeating opponents which use Ranged Combat. Warlords sometimes have the option to evade opponents, such as by using the Stealth Stratagem. The evading Warlord cannot then affect or be affected by the Warlord or Unit in any way. 1. Anything that attacks a Warlord. 2. Any Warlord attempting to attack or use a special ability. 3. Opponents that appear as a result of an Event, Place, or Stranger card (e.g., the Flesh Hounds from the Warp Ravaged World Place Dataslate). The following rules are “Golden Rules” which supersede all others. In any instance where a special ability or effect is at a variance with the basic rules, the special ability or effect always overrides the rules. In any instance where a card’s effect indicates that a Warlord cannot perform an action or use an ability (such as using a Stratagem or using Equipment), the Warlord cannot do so. In other words, the forbidding effects of Dataslates override other abilities and effects. This section covers rules that may occur as a result of encounters or moving between different Regions. Warlords can be transformed into a Chaos Spawn creature as a result of various encounters, and will stay in this form for 3 turns. A Chaos Spawn has Close Combat 1 and Ranged Combat 1, which are not modified by Close Combat or Ranged Combat points accumulated prior to the transformation. Although a Chaos Spawn can gain and lose Close Combat and Ranged Combat, these modifications disappear when the Chaos Spawn turns back into the original Warlord. At that point, the Warlord’s pre transformation Close Combat and Ranged Combat are once again used and resume their effects. A Chaos Spawn does not roll the die for movement, but must move only one Sector per turn. Chaos Spawn can neither gain nor use Stratagems, but any Stratagems held by the Warlord are not lost upon transformation into a Chaos Spawn. They simply cannot be used until the Warlord reverts back to his original form. A Chaos Spawn's Resolve points are those of the original Warlord. Thus, any Resolve lost or gained by the Chaos Spawn affect the status of the original Warlord. A Chaos Spawn’s Fate points are also those of the original Warlord. Similarly, any Fate lost or gained by the Chaos Spawn affect the status of the original Warlord. Chaos Spawn may use Fate as normal. Chaos Spawn have encounters when landing on a Sector like any Warlord does. A Chaos Spawn has no special abilities. Those of the original Warlord cannot be used whilst they are a Chaos Spawn. If a Warlord is already a Chaos Spawn and is transformed into a Chaos Spawn again, they will remain a Chaos Spawn for three more turns starting from the second transformation. Any instructions that result in the loss of a turn by the Warlord encountering them ends the Warlord’s turn immediately. This counts as a missed turn for that Warlord if there are other Dataslates to be encountered; otherwise, he misses his next turn instead. Characters are considered to have anything in their possession, such as Equipment, Resources, Fate, Fleets, and Stratagems. When a Warlord implements the ability of a Dataslate's text, he is considered to be using the Dataslate. Using Dataslates is optional, and a Warlord may always choose when to use a Dataslate he has. For example, the Melta Bomb allows a Warlord to add 2 to his Close Combat score until the end of the turn. Unless a Warlord uses this piece of Equipment, he will not gain the bonus to Close Combat. As soon as it is used, its effect is activated and the Dataslate is then discarded. A Warlord may ditch any of his Fleets, Units or Equipment at any time by leaving them in the Sector he occupies. If a Warlord does this, he cannot take them back during the same turn. There are two ways a Warlord can acquire a Talisman. First, they can be gained by encountering certain Dataslates. Second, they can be acquired by undertaking a quest gained at the Titan and Davin sectors. Talismans do not count towards your carry limit, nor can they be ditched on a Sector. Warlords may only carry Talismans of their allegiance - Loyalists may only carry a Talisman of the Emperor and Traitors may only carry a Talisman of the Warmaster. Loyalist Warlords who arrive at the Titan Sector in the Middle Region may choose to accept an Errant Quest. Traitor Warlords may accept an Infernal Quest at the Davin Sector in the Middle Region. If a Warlord accepts a quest, it is chosen at random from all available quests for his allegiance. A Warlord may only accept a quest if he does not already have a Talisman. When a Warlord is on a quest, any map Sectors relevant to that quest will glow to indicate that the Warlord should be heading there to complete the quest. A Warlord can only be on one quest at a time, but a quest can be replaced by returning to Titan (Loyalists) or Davin (Traitors) and paying 1 Resource to swap a quest for a new one. When a quest has been completed, a Warlord will have a 'Complete Quest' command available. When this command is chosen, the Warlord is immediately returned to the Sector where they were given the quest originally - Titan for Loyalists and Davin for Traitors. Once there, they will receive their reward. When a Warlord has a Talisman, he can no longer accept a quest. A Warlord may only carry ONE Talisman at a time. At any time during the game, you can view how each Warlord is progressing towards their final goal by selecting the 'Warlord Progress' button at the bottom-left. This view shows the Close Combat and Ranged Combat abilities of each Warlord, plus whether each one has accepted a quest, gained a Talisman and reached the Inner Region. The Warp, which separates the Outer Region from the Middle Region, can be crossed in several ways - at The Rubicon Straights Sector by battling through The Warp, using a Grand Cruiser (Fleet) and by certain roll results at the Davin, Nikaea, Phall System and Maelstrom Sectors. There are other ways to cross, but these are the most common. A Warlord may attempt to cross The Warp in either direction if the die roll for his move is sufficient to carry him across it and into the Region on the opposite side. A Warlord must battle through The Warp whenever he attempts to travel from the Outer Region to enter the Middle Region via the Realm of Chaos. To successfully battle through The Warp, a Warlord must choose to use his Close Combat or Ranged Combat statistic and add the result of one die roll. If the total is 9 or higher, the Warlord has successfully battled through to the Middle Region. If a Warlord's Close Combat or Ranged Combat are high enough so that he will not fail, the passing through will be done automatically. After battling through The Warp, a Warlord must continue his move by entering the Middle Region and continuing to move in either direction to the full value of his movement roll. A Warlord who fails to battle through The Warp loses one Resolve point and must stay in The Rubicon Straits Sector. Warlords do not need to battle through The Warp when crossing from the Middle Region to the Outer Region, nor if they end their movement on The Rubicon Straits Sector. When crossing from one Region to another, a Warlord may change the direction of his move upon entering the new Region. A Grand Cruiser Fleet can be used to cross The Warp, if you pay 1 Resource. Grand Cruisers are rare finds and can only be discovered by investigating Sectors. The Luna Sector connects the Middle Region to the Inner Region. The Inner Region can only be entered by passing through the Luna Naval Blockade, which must be successfully broken through before it can be traversed. A Warlord can only try to break through the blockade if his move is sufficient to carry him beyond it. A Warlord must attempt to break through the blockade each time he passes through it; previous passage is no guarantee of future passage. A Warlord attempting to break through the blockade follows the instructions on the Luna Sector. If successful, the Warlord proceeds to Spaceport Primus. If unsuccessful, the Warlord’s turn ends immediately on the Luna Sector plus he loses 1 point from the ability he used to attempt his passage through the blockade. A Warlord wishing to pass through the naval blockade from the Inner Region to the Middle Region does not need to break through it. He simply moves from the Spaceport Primus Sector to the Luna Sector. Doing so counts as his entire move for that turn. The die is not rolled for movement in the Inner Region. Instead, a Warlord can move only one Sector per turn there. The encounter instructions on each Sector in the Inner Region must be completed before a Warlord can move on toward the Vengeful Spirit. A Warlord in the Inner Region may decide at any time to turn back and move back towards the Spaceport Primus Sector. A Warlord who has turned back still only moves one space per turn, but ignores the instructions on all of the Sectors on his return journey to Spaceport Primus, plus any revealed Dataslates that might be on a Sector. Once a Warlord has chosen to turn back, he cannot change his mind and he must go all the way back to Spaceport Primus. Once there, however, he is free to do whatever he likes, including heading back toward the Vengeful Spirit or leaving the Inner Region through the Luna Naval Blockade. No opponent in the Inner Region, except other Warlords, can be affected by any Stratagem, nor may they be evaded. In the Inner Region, a Warlord may only encounter another Warlord at Spaceport Primus and the Inner Palace Sectors. Encounters with other Warlords on the Spaceport Primus and Inner Palace Sectors are treated exactly as encounters between Warlords in the Outer and Middle Regions. If more than one Warlord is on the Vengeful Spirit, they cannot encounter each other and must instead attack either Horus or The Emperor. The following is additional explanation about the Sectors in the Inner region. Two dice are rolled to determine the opposing forces’ Close Combat each time a Warlord lands on the Sector. This is the opponent that attacks that Warlord until he escapes. Example: Garviel Loken lands on the Damocles Starport Sector and rolls two dice to determine the traitor forces’ Close Combat. He rolls a “2” and a “6” which brings the traitor forces’ Close Combat to 8. He then engages the traiter forces in melee. Garviel rolls for and gets an attack score of 10. The traitor forces roll a “5”, which brings their attack score to 13 (8 Close Combat plus an attack roll of “5”) which means Garviel is defeated and loses a Resolve point plus a randomly selected Unit (another Resolve point is lost if he has no Units). On his next turn, he decides to attack the traitor forces again instead of turning back. The traitor forces fight with the same Close Combat of 8 but this time gets a “1” for their attack roll, which brings their attack score to 9 (8 Close Combat plus an attack roll of “1”). If Garviel can get an attack score of 10 or more he will defeat the traitor forces and may move on next turn. The Wastes Sector works in exactly the same way as the Damocles Starport Sector, but uses the Ranged Combat ability instead of Close Combat. Roll 2 dice to determine the opposing forces' Ranged Combat and then fight them. A defeat for the Warlord results in the loss of one Resolve point plus a randomly chosen Unit (or an extra Resolve if he has no Units). The last Sector on the map is the Vengeful Spirit. It can only be reached from the Inner Palace Sector, which can only be entered by Warlords that have a Talisman. If a Warlord does not have a Talisman, then he must turn back. When a Warlord is on the Vengeful Spirit Sector, he cannot choose to move away from the Sector. A battle is raging on the Vengeful Spirit between Horus The Warmaster and The Emperor. When a Warlord arrive in the Sector, they join in the battle against the leader or the opposing allegiance. Loyalist Warlords must battle Horus and Traitor Warlords must battle The Emperor, following the instructions on the Sector. If there is already another Warlord on the Vengeful Spirit when a Warlord lands there, they are ignored and either Horus or The Emperor must be fought instead. A Warlord can choose to engage in Melee or a Firefight when fighting Horus or The Emperor. Each time a Warlord is victorious, Horus or The Emperor loses 1 Resolve point and can be attacked again on the Warlord's next turn, until all 5 Resolve points have been removed. If a Warlord loses a Resolve point, he is cast all the way back to the Luna Sector in the Middle Region. Horus and The Emperor will regain their Resolve at a rate of 1 per round (back up to 5) if there is no Warlord of the opposing allegiance on the Vengeful Spirit. 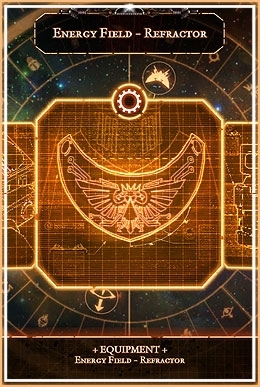 Once either Horus or The Emperor have lost all of their 5 Resolve points, they are defeated and the all players of the victorious allegiance have won the game! 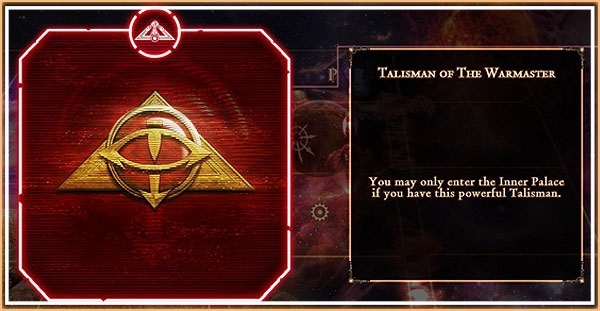 There are 5 different ways to complete Talisman: The Horus Heresy. Warlords must first journey throughout the Outer and Middle Regions to build up their Close Combat, Ranged Combat, and Resolve, until they feel they are powerful enough to tackle the Inner Region. They must also first find a Talisman to permit them to board The Vengeful Spirit and join in the climactic battle. Defeat Horus or The Emperor to win the game. To defeat them, you must arrive at the Vengeful Spirit at the centre of the map. To get to the Vengeful Spirit, you need a Talisman Dataslate. Gain a Talisman by completing a quest. 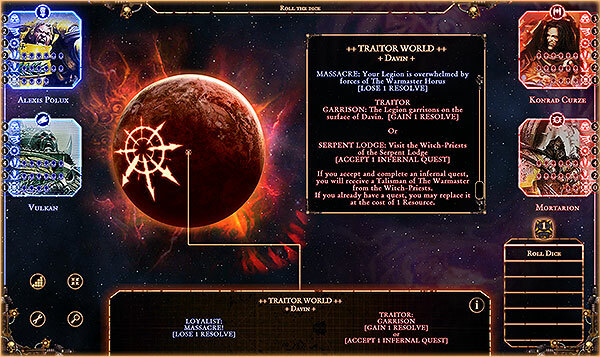 Loyalists can accept a quest at the Titan Sector and Traitors at the Davin Sector, both in the Middle Region. Increase your Close Combat and Ranged Combat abilities by defeating enemy Units and by other encounters. The Horus Heresy has begun. Loyalist and Traitor Warlords and their Legions converge on Terra for the final battle to define the future of humanity. All Warlords that do not have a Talisman, except for the Warlord who first boarded the Vengeful Spirit, lose the game. All Warlords that have a Talisman are immediately placed on the Vengeful Spirit. Any Warlord that loses all of his resolve is removed from play. Warlord that loses all of his resolve is removed from play. The Warlord who first boarded the Vengeful Spirit must choose an Enemy Warlord to attack. The winner of the attack must force the loser to lose 1 Resolve. The winner of the attack then chooses any other Enemy Warlord to attack (the loser cannot be chosen unless he is the only other Warlord remaining). If the attack is a stand-off, the same Warlords fight again. Warlords must continue attacking each other in this manner until only Loyalist or Traitor remain. When a Warlord attacks, he may choose to choose to engage in Melee or a Firefight. He may not choose when he is attacked by another Warlord. As the final battle for Terra rages below, control of the Warmasters Flagship, The Vengeful Spirit is in the balance. Seize control of the bridge of the Vengeful Spirit to turn the tide of the war on Terra. If a Warlord is on-board the bridge of the Vengeful Spirit and no enemy Warlords are present, they fire the Vengeful Spirit Orbital Bombardment Dataslate at the start of each Enemy Warlords turn. The Orbital Bombardment automatically causes ALL enemy Warlords to lose one Resolve. If a Warlord is on-board the bridge of the Vengeful Spirit and there is an Enemy Warlord present, at the beginning of their turn they must attack the other Warlord instead of firing the Vengeful Spirit. However, they may choose to engage in Melee or Firefight. They may not choose when they are attacked by an Enemy Warlord. Once a Warlord reaches the bridge of the Vengeful Spirit, no Enemy Warlords may gain Resolve for the rest of the game. If all Enemy Warlords are killed, the Warlord on the Bridge of the Vengeful Spirit wins the game! While loyalist and traitor forces clash on a thousand battlefields across the galaxy, a very different kind of war is being fought in the shadows. The First Warlord to complete an Errant or Infernal Quest wins the game. The Final battle between Horus and the Emperor is raging. Be the first to reach the Vengeful Spirit and tip the balance of this epic struggle. The First Warlord to reach the Vengeful Spirit wins the game. The Isstvan Campaign expansion adds an extra region to the galaxy map, which focuses on the area surrounding the Isstvan System. To enter the Isstvan System, you must have rolled enough movement points to enter it via the Isstvan Asteroid Range in the Outer Region of the galaxy map. Once entered, Warlords may only move in the direction of the arrows shown on the sector. 1. Fight your way to the final sector in the region and battle the opposing forces there. 2. Move out of the region with a normal movement roll from the Isstvan Extremis sector, which is the first sector in the region. 3. Certain roll results on the Evacuation Zone Place Dataslate. 4. In a body bag. The Isstvan Campaign is a place for only the bravest of Warlords. Losses may be high, but the rewards gained from venturing there can help turn the tide of battle in your favour. The Prospero expansion allows the player to explore the events of The Horus Heresy on Prospero in more detail and play as the Warlords and Legions that fought there. The Expansion has 5 new Warlords for you to play. Each Warlord also comes with their custom Legion Dataslates. The die is not rolled for movement in the Prospero Region. Instead, a Warlord can move only one Sector per turn there. The Shadow Crusade allows the player to explore the events of The Horus Heresy around the Ultramar System in more detail and play as the Warlords and Legions that fought there. The Expansion has 6 new Warlords for you to play. Each Warlord also comes with their custom Legion Dataslates. You may enter the Shadow Crusade Region via Calth or The 13 realms sectors.once within the Shadow Crusade realm The die is not rolled for movement within the Armatura and Calth Regions. Instead, a Warlord can move only one Sector per turn there. The TIDE OF WAR Event Dataslates indicates whether the current state of the war is in favor of the Loyalists or Traitors. Warlords receive bonuses or penalties depending on whether the TIDE OF WAR is in LOYALIST DOMINANCE or TRAITOR DOMINANCE.